Our team of commercial interior designers bring extensive experience in corporate, healthcare, institutional, non-profit, retail, and restaurant commercial interior design projects. 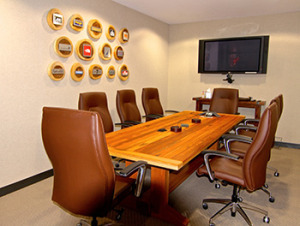 Many of the commercial interior design services we provide involve working with a committee. Key decision makers are on the committees and require collaboration and frequent communication with a small, or sometimes large group about the design process, ideas, and status of the engagement. We understand this dynamic and routinely work with committees within corporations, partnerships, non-profit organizations, and institutional organizations. Commercial interior design services also require in-depth knowledge of commercial code requirements, which vary from state to state. The Marta Mitchell Interior Design team is familiar with all commercial code requirements for North Carolina and has access to codes in all other states as well. In addition, we know and regularly work with many of the local commercial builders and architects who are also quite familiar with these codes. Selecting the correct materials is critical in the design process. Our commercial interior designers provide significant savings to our commercial clients. We purchase all materials at wholesale costs and also ensure materials with a longer life are selected. Whether it is a two person operation, a college or university, or a multinational corporation, space planning and layout plays a very important role in the commercial design process. Our design teams work with our commercial clients to ensure they understand the requirements and goals of the project. Efficient use of space for maximum efficiency is critical. We also utilize 3D rendering technology and 3D virtual walk-through software to help our commercial clients visual the space before the work begins. Contact us to discuss your commercial interior design project.